In anticipation of the Apple Watch’s launch, which is about two to three months away, Techradar has posted everything we know about the Apple Watch’s design so far. The post includes every band, case, and watch face that we know about so far. In total, there are 34 different Apple Watch choices, and nine standard watch faces. Apple says that there are millions of customization options when you include the watch size and model, band, and watch face. 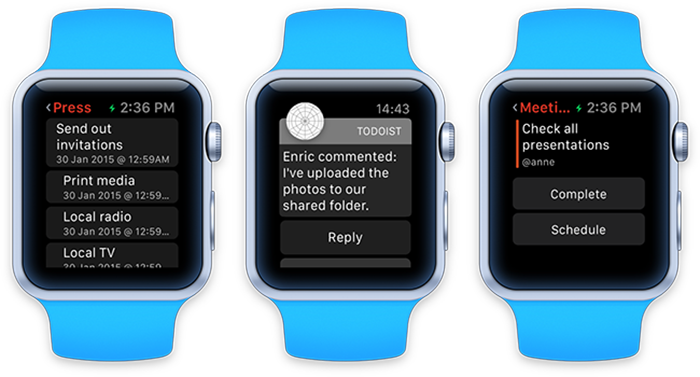 Starting with the watch itself, we know that Apple will launch three models of the Apple Watch. The base model of the device, just called “Apple Watch,” will come in a polished stainless steel case with sapphire covering the display. 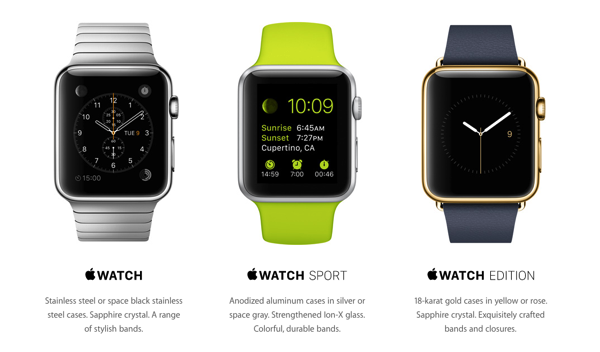 The Apple Watch Sport is the lightest of the three models, coming in an anodized aluminum case. 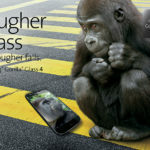 Given that this model of the device is targeted towards those with active lifestyles, it skips the expensive sapphire glass in favour of strengthened Ion-X glass. Lastly, the Apple Watch Edition will be the most expensive model because of its 18-karat gold case. The high-end model of the watch was crafted by the company’s metallurgists and will come in yellow gold and rose gold. The Apple Watch Edition is also rumoured to be locked inside a safe within your local Apple Store. The report also details six different band styles that come in 18 different colours. The watch straps are designed to be easily replaceable, allowing you to change the style of the watch based on your day-to-day needs. The Apple Watch will come in two case sizes: 38mm and 42mm, which will allow the device to fit the wrist’s of more people. To complement the watch design and the band you choose for your watch, the company has also shown off 9 different watch faces. This allows you to personalize your device even further and truly make it your own. Last month, Apple CEO Tim Cook confirmed that the development of the device is on schedule. 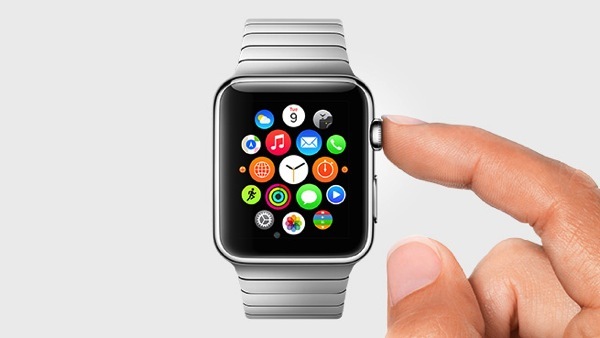 Apple is scheduled to release the Apple Watch in the United States in April 2015 with a starting price tag of $349.